Drug tests on sea life near the sewage outflow pipes around Victoria are giving new meaning to the old expression "happy as a clam." 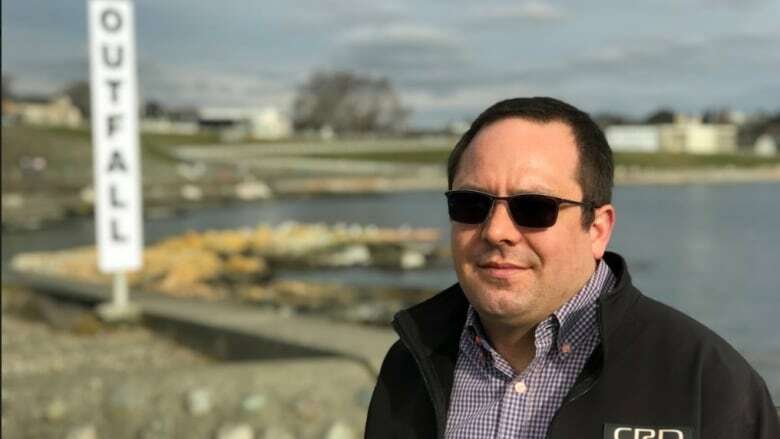 Chris Lowe, who supervises environmental monitoring programs for the CRD, said the region has been collecting wastewater samples since 2003 to monitor pharmaceuticals. Testing expanded to sediment and mussel tissue samples as the ability to detect and analyze those compounds improved in recent years. "Everything from antimicrobials to antibiotics, pain medication, synthetic birth control, antidepressants, pretty much any pharmaceutical that humans take, unless it's a very short-lived compound, will be seen in sewage," Lowe said. An article co-authored by Lowe in the journal Frontiers in Marine Science, reported that tissue samples of resident Northern Horse mussels collected near one of the major sewage outfalls showed high concentrations of the antimicrobial triclosan, the antibiotic ciprofloxacin, and the antidepressant sertraline, among others. The drugs and personal care products do not accumulate or remain for long in organisms or sediment on the ocean floor, Lowe said. As well, the concentration drops within a few hundred metres of the two raw sewage outfalls — off Clover Point in Victoria and Macaulay Point in neighbouring Esquimalt. Lowe said completion of the region's wastewater treatment facility, expected near the end of 2020, will keep most drugs and other harmful compounds out of the ocean. "I very rarely if ever say that treatment will eliminate compounds," Lowe said. "It will substantially reduce them and some may be gone completely." The treatment process will also remove compounds of concern for ocean life such as orcas, which are higher up the food chain. "We'll be removing things like PCBs and flame retardants that are going out as well as these pharmaceuticals," Lowe said. John Werring, a biologist with the David Suzuki Foundation, agrees that Victoria's new system should filter out most pharmaceuticals. "With tertiary treatment I would expect to see 90 to 95 per cent removal efficiency, not only of pharmaceuticals, but also of a lot of other toxic, inorganic chemicals that are found in sewage," Werring said. In the meantime, the CRD wants residents to do their part by not disposing of medications in the toilet or sink.